Andy Hollyday is former Executive Chef of Roast Restaurant in downtown Detroit, and also a good friend of ours. We’re quite excited about his new venture as chef/partner of Selden Standard, a seasonally driven, shared plates restaurant opening in mid-2014. 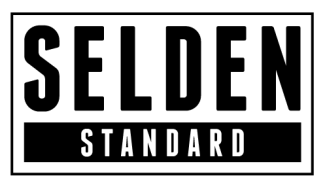 Fortunately, we don’t have to wait all those months to taste what might be on the menu at Selden Standard. This Friday there will be two, limited-seating, five course dinners at Revolver in Hamtramck, where Andy’s philosophy of sourcing quality ingredients and preparing them simply (and expertly) will be on full display. We should mention that you can bring your own bottles of wine! We can help with that. Simultaneously rich and crisp, Vincent Carré Premier Cru Brut Champagne ($47) should be excellent before and during the first two courses. For rich and crisp bubbles that are a little easier on the wallet, we suggest Cava VallDolina ($18), made using the same method as Champagne but from grapes grown in a Mediterranean climate. If still white is more your speed, 2012 Belondrade Quinta Apolonia ($19) is a floral wine with great acidity from Rueda, the most distinguished region in Spain for white wines. One of our favorite red-fruit blends out of the Languedoc in southern France the 2011 Les Vignes Oubliées Terrasses du Larzac ($30) might well be a hit with courses three and four. Alternatively, the 2010 Billo Priorat ($18) will have a similar food-friendly approach but a slightly different attitude from its address further south and down the Mediterranean coast. We have plenty of sweet dessert wines we can recommend but unless you’re with a larger group it’s probably not practical to carry in so many bottles. If you’re not the practical type, we’ll select a good one for you. All wines are specially priced this week only in conjunction with the dinner but you can pick up any of the bottles to drink at your leisure. Click this link to make your reservation. Hope to see you there.